Spring is on its way with lots of sunshine and warmer temperatures. Traditionally, this is the best time of the year for selling a home and the spring selling season will soon be in full bloom. Many potential homebuyers are beginning to come out of their winter doldrums and are ready to find that perfect home. Lower interest rates are creating the urgency for buyers to begin searching in earnest for that home right now. The smart seller will take advantage of the current enthusiasm and energy of motivated buyers while the demand is so strong. Those who plan to sell their homes in 2014 do not want to miss out on the perfect, well-qualified buyer because they procrastinated too long before listing their home for sale. Timing is important in all real estate transactions whether selling or buying. Sellers should spend time planning their selling strategy before listing. They must factor in the competition, the current mortgage market and local economic trends. Deciding to sell is a major decision based on many factors in a homeowner’s life. People put their houses on the market for a number of reasons. Whether it is to move up to a larger home because of a growing family or to move to another city, it is important to plan well ahead of time in order to make a good profit and sell quickly. Unless a quick move is necessary, most people can afford to allow themselves enough time to hold out for their maximum sales price. As soon as the decision is made to sell, it is important to decide how to market the home. Most people rely on real estate agents to assist them with the sale of their properties. It is wise to shop around for the best listing agents with many years of experience in selling homes and other property types. Realtors help market the home by advertising and bringing potential buyers. Many sellers are now choosing to market their homes online to gain more exposure. 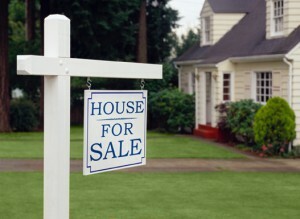 Others may decide to sell their homes themselves to avoid paying fees when the home sells. The selling method is a matter of preference. Sometimes conditions are perfect for sellers to get the best price for their homes and weather does play an important role. While homes do sell in the fall or winter, the majority of potential homebuyers prefer warmer weather. Sellers can take advantage of this trend by listing their homes when the exterior landscaping is at its peak appearance. When the sun is shining, the grass is green and flowers are blooming, potential buyers are much more likely buy. Interest rates are at an all-time low right now and lending standards are showing signs of tightening. It will become much harder for buyers to qualify in the future, and with less demand sales prices will be lower. Today is the perfect time to sell.